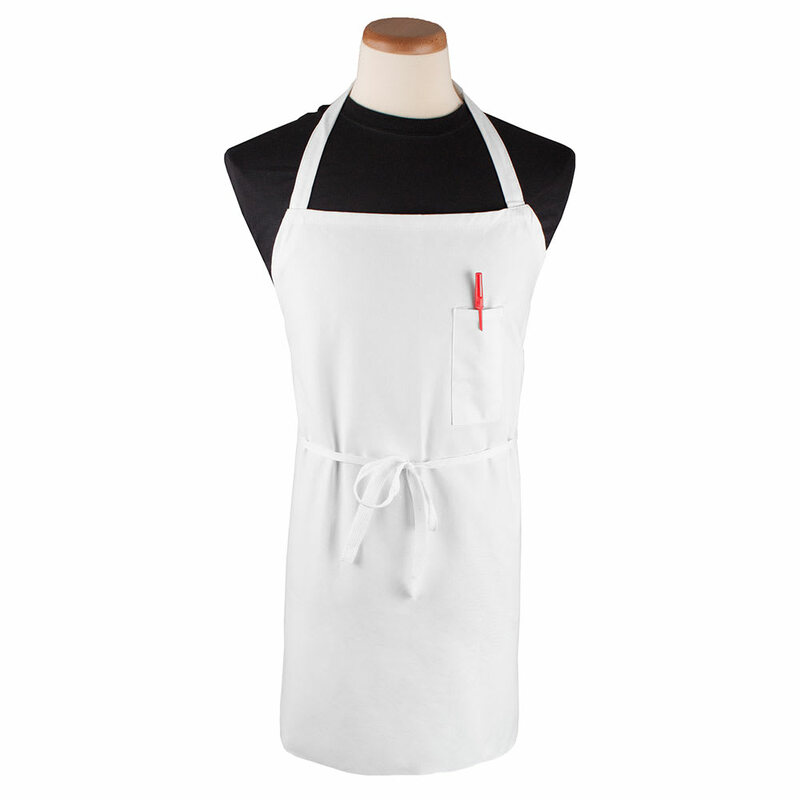 The Ritz CLBIAWH-1 bib apron has 35 inch long shoestring ties that let you tie in the front. The tapered fit provides unrestricted movement around the kitchen. There is an extra wide neckline on this Ritz CLBIAWH-1 bib apron to protect underclothes from stains. A chest pocket has been sewn on for thermometers and pens. The apron fits most sizes ranging from extra-small to large.